As its name suggests, the Snoopy table lamp is inspired by the famous cartoon character by Charles M. Schulz. 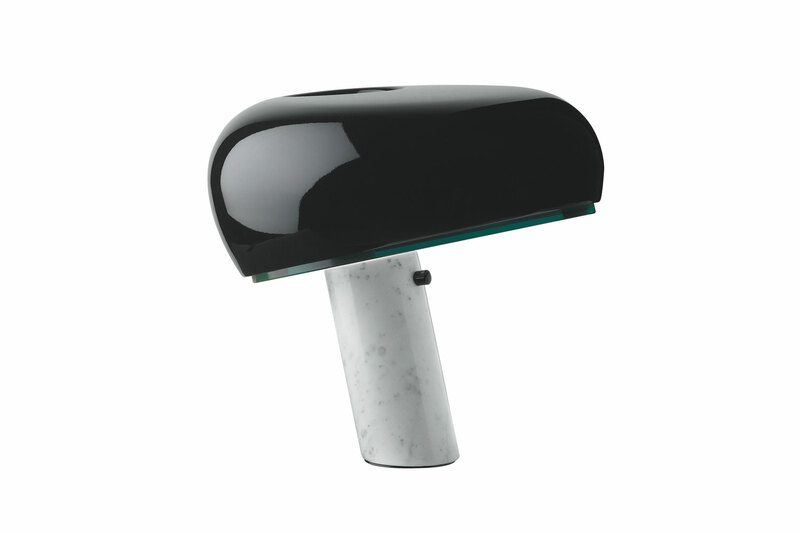 Designed by Achille and Pier Giacomo Castiglioni, the Snoopy lamp features a thick glass disc and an enameled reflector, both resting in perfect balance on a white Italian Carrara marble base. Originally designed in 1967, it was re-introduced in 2003.